CompTIA A+ certification validates the latest foundation-level knowledge and skills needed by today’s computer support professionals. 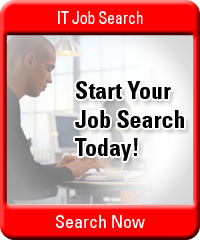 It is the starting point for a career in the Information Technology industry. This international, vendor-neutral certification is accredited by the International Organization for Standards (ISO) and the American National Standards Institute (ANSI). CompTIA A+ certification proves competence in a technician’s ability to perform essential IT tasks such as installation, configuration, diagnosing, preventative maintenance, basic networking and security. It also confirms a technician’s understanding of customer service and communication skills needed to work with clients. 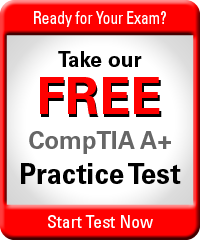 Two exams are necessary to be certified: CompTIA A+ 220-901; and CompTIA A+ 220-902. CompTIA A+ 220-902 covers installing and configuring PC operating systems including Windows, iOS, Android, Apple OS X and Linux, as well as security, the fundamentals of cloud computing and operational procedures. This certification would be beneficial for individuals looking for IT employment in positions such as technical support specialist, field service technician, IT support technician, IT support administrator and IT support specialist. 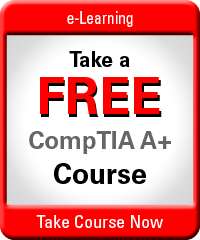 CompTIA A+ is part of the certification track for corporations such as Microsoft, HP and Cisco. Other technology companies, including Dell, Intel, Lenovo and Ricoh, have made CompTIA A+ certification mandatory for their service technicians. The U.S. Department of Defense recognizes CompTIA A+ and the Department of Homeland Security requires it as part of their computer forensics program.